AUGUSTA, Maine — The number of Maine households receiving welfare benefits through the Temporary Assistance for Needy Families program decreased by more than 3,000 between January and July of this year. State welfare officials and advocates agree that the approximately 26 percent drop in Maine’s TANF caseload since January results directly from the implementation this year of a 60-month limit on how long each household can receive benefits. They also agree that what happens to families whose benefits expire must be monitored closely — and that the system will have to change to better meet their needs. Federal welfare reform measures enacted during President Bill Clinton’s administration in 1996 allow states to set a 60-month limit on eligibility for the TANF program. Maine opted out of that provision until last year, when Gov. 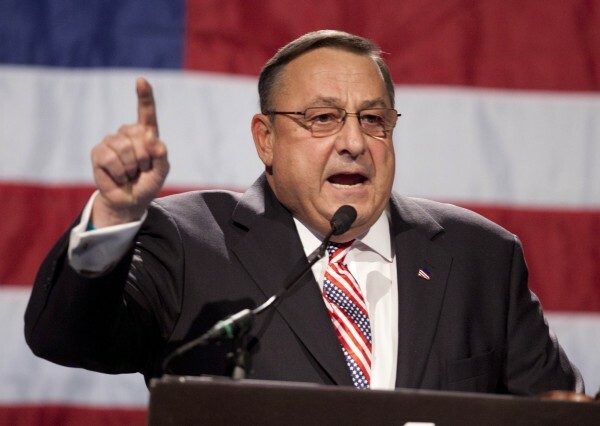 Paul LePage included the eligibility cap in his biennial budget. The law implementing Maine’s 60-month limit took effect in January of this year. State officials expect to realize the $2.5 million in state savings that were budgeted as a result of the change, according to Dale Denno, director of the Maine office of family independence, which administers TANF and other public assistance programs. The law allows families to receive TANF benefits beyond 60 months if they qualify for extensions or exemptions based on specific hardships. Municipal officials claim that many are turning to the General Assistance program, which is administered by cities and towns. General Assistance pays for basic needs of families or individuals imperiled by emergency circumstances or lack of income. State and municipal governments share the cost of General Assistance, with larger cities receiving higher reimbursements based on their history of serving a greater number of people in need. “We don’t yet know the size of the impact [on General Assistance], but there’s likely to be some,” Denno said. A work group studying those implications and other aspects of General Assistance will report its findings to the Legislature, he said. Since May, Portland has paid an additional $26,730 in General Assistance benefits to 28 households, representing 111 individuals, who qualified for increased General Assistance after their TANF expired, according to Nicole Clegg, the city’s communications director. Those families had already received some form of General Assistance, she said. To slow that transition in Portland, which handles 42 percent of all General Assistance administered in Maine, according to Clegg, city officials work with applicants to explore other benefit options, including state aid. “We would like to see an increase in the number of recipients going to work, less recidivism and a focus on pursuing realistic education goals,” he said. The time limit on TANF benefits is based on the premise that five years is enough time for most public assistance recipients to make a transition to gainful employment. Before January, there was no time limit for families with eligible children. The flaw in the argument that a time limit will encourage more people to find jobs is that it overgeneralizes the TANF caseload, according to Hastedt. Denno pointed to an interagency strategic planning session scheduled for Oct. 3 and 4 as a place where state officials can work together to look for those alternatives. Representatives from the Department of Labor and the Department of Education will participate. Denno and Hamm believe that the 60-month limit has elevated accountability among TANF recipients who are required to participate in some form of work program, as mandated by the 1996 federal welfare reform act. Denno said the time limit puts “more pressure on individuals to be an active partner” in conceiving and executing a plan to enter the workforce. Moody suggests that Maine take an even stricter approach. ASPIRE, or Additional Support for People in Retraining and Employment, is the education, training and work program that most parents getting TANF must participate in. Citing a 2010 survey of TANF families in Maine, Hastedt rejects that type of one-size-fits-all policy. Among the survey’s findings are that 97 percent of respondents had work experience but that nearly a quarter lacked a high school diploma or GED. Lack of safe, affordable child care and health problems ranked among the greatest obstacles to independence. Hastedt also believes initiatives such as the Parents As Scholars program, which provides TANF-like support for parents enrolled full time in college classes, offer a greater likelihood of lasting success. Enrollment in that program decreased from 587 in January to 390 in July. Corresponding to Maine’s lower TANF caseload — caused by the newly imposed time limit — the number of recipients taking part in ASPIRE training and job readiness programs decreased from 8,990 in January to 6,883 in July. The average ASPIRE worker’s caseload is approximately 180 recipients, according to Denno. Hamm hopes that the lower caseload will allow her department “to reinvest that money into transitional programs that keep people working.” The state provides support services such as extended child care, transportation assistance and medical coverage to help families make the transition from TANF to work. Robert Long is a political analyst for the BDN.